Cloud technology trends evolve quickly as more and more companies transition at least some computing workloads into the cloud. You want to make sure your cloud service provider is at the forefront of these developments and can help you benefit from them. They should also be able to assist you in planning the processing, security, and data storage capabilities you need as changes take place. Here is a brief look at some cloud tech trends worth watching. Maturing quickly from a high-potential technology to almost ubiquitous adoption, containers can greatly simplify the lives of developers and business managers relying on the cloud. In cloud speak, containers isolate applications built for the cloud from specific cloud platforms and infrastructures. They can run in any cloud environment, which makes it easier to share and reuse them. Containerization is highly standardized to make data and applications transferable and extend their usefulness. Containers, in turn, make it possible to run micro-services – well-defined, circumscribed tasks. Developers can easily build micro-services, using their preferred programming tools, and businesses can run them in any cloud environment they like. They can quickly be deployed, scaled, or shut down when no longer needed. Companies benefit from the standardization, efficiency, and economy of containers and micro-services to keep their cloud environments controlled and in line with their goals. When companies understand that there is no need to move all their computing workloads into the cloud at the same time, they can determine which work best in the cloud and which should remain on-premise. In many organizations, such relatively standard computing areas as HR, finance, sales, or distribution move to the cloud, while more specialized workloads often don’t. Modern cloud technology makes it easy to integrate the cloud with on-premise technology, so that the user experience is seamless. By a number of measures, annual growth in the hybrid cloud between 2015 and 2019 is said to outpace the IT market overall by close to 30 percent. Microsoft Azure is known for its effectiveness and versatility in supporting hybrid cloud environments, which are quickly becoming the first choice of many businesses adopting the cloud. The modular architecture of Microsoft Dynamics 365, which lets you implement discrete workloads one at a time, is fully in sync with the hybrid cloud. In the hyper-converged cloud, technology providers bundle computing, storage, networking, and virtualization resources in a single, software-driven architecture. Hyper-converged cloud technology can be managed systematically, using just one set of tools. Nodes can be added to extend the functionality. Hyper-converged cloud infrastructures save companies much of the work of implementing and integrating separate technologies and enable them to realize the benefits of the cloud sooner. Many companies are adopting hyper-convergence as the most efficient way to get their private, hybrid clouds running. As the public cloud matures and becomes ever more secure and reliable, any risk involved in running business-critical software in the cloud can easily be mitigated or is no longer an urgent consideration. As a result, many enterprise applications such as ERP, PLM, logistics, service management, or CRM systems run in the cloud, surrounded by the business intelligence resources that help companies analyze, understand, and report on the trends and impacts indicated in their data. 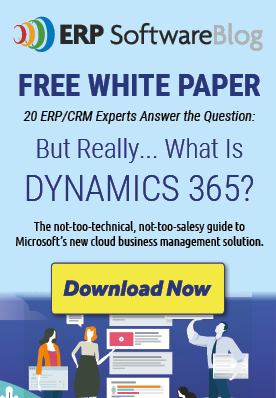 That momentum of enterprise software systems moving to the cloud includes Microsoft Dynamics 365, which offers advanced functionality familiar from ERP and CRM solutions on the Azure cloud platform. Power BI, the Cortana Intelligence Suite, and other resources enhance the Dynamics 365 apps with transparency and insight. Industry and specialized solutions from Dynamics partners adapt Dynamics 365 for an almost limitless range of usage scenarios. Facilitating effective, predictable transitions to the cloud and Dynamics 365, Columbus combines many years of business and technology expertise to help companies benefit from the best of modern ERP, CRM, business intelligence, and cloud technology. When you work with us, you can today achieve a successful cloud deployment that positions you to thrive through the opportunities and challenges coming your way in the future. To learn more and take the next step, visit our website or contact us at 888.209.3342.